Sturdy, polished and ready for some grilling action! 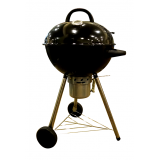 The Spitfire Pro is one charcoal grill that emphasises functionality, quality and affordability. Features Black Enamel Fire Bowl & Lid Thermometer Removable Ash Catcher Air Flow Control using Ven.. 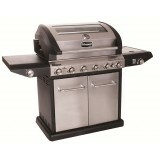 FEATURES This is a great looking and very durable BBQ with a rear infrared burner fitted for direct cooking when using the rotisserie. This BBQ also features a glass window so you can see your food when the hood is down. Convection style window hood with less vents aids the infusion of flav.. 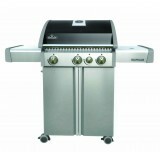 FEATURES This BBQ features a glass window hood – see your food cooking when the hood is down. It is made of durable materials that include 304 stainless steel, vitreous enamel and durable black “suede look” powder coat. SPECIFICATIONS Material .. Convenience and quality is maximized in the New Triumph Series. 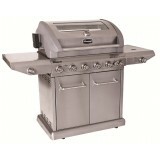 Stainless steel construction, a range side burner and folding side shelves for easy portability and storage. There are three sizes to choose from for whatever your outdoor space demands. PRODUCT FEATURES Stainless steel s..